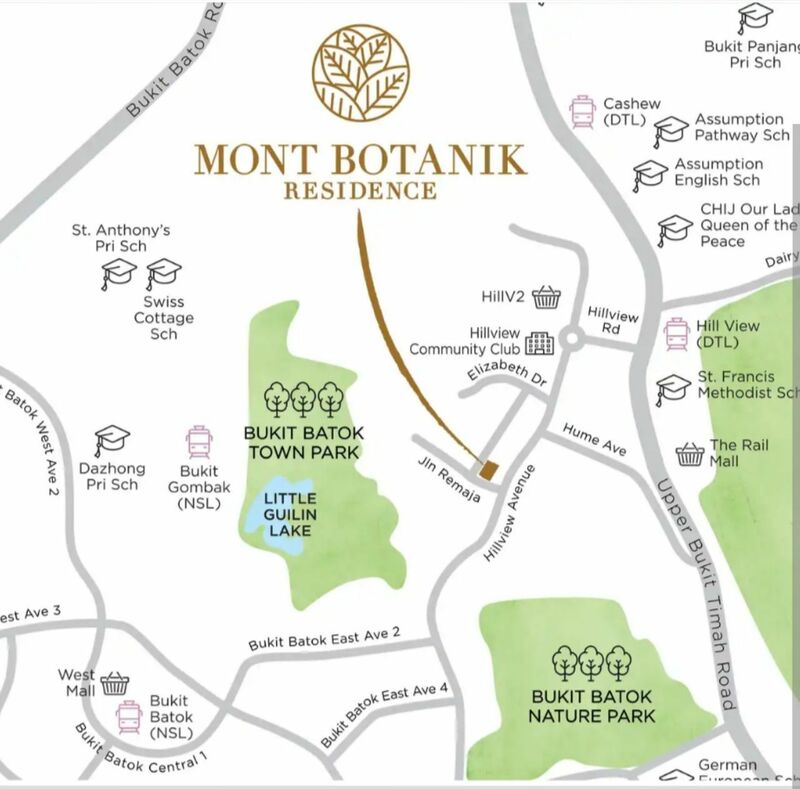 Mont Botanik Residence is nestled within close proximity to the lush greenery of Bukit Batok, the design draws inspiration from its surroundings, while aspiring to stand out as the 'new kid on the block'. 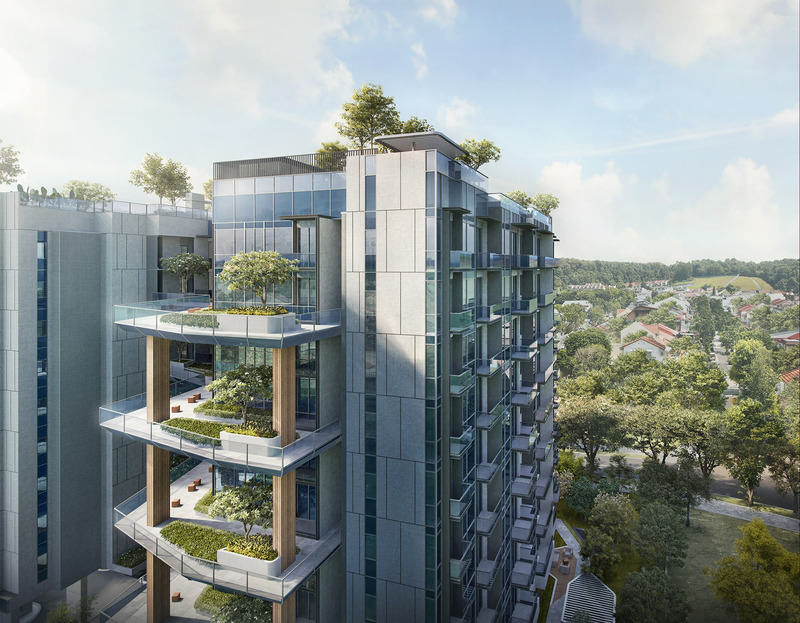 The eventual product is one that strikes a balance between simplicity and modernity, assimilating seamlessly into the backdrop of Bukit Batok Nature Park, while exhibiting the energy and vitality through its materiality. 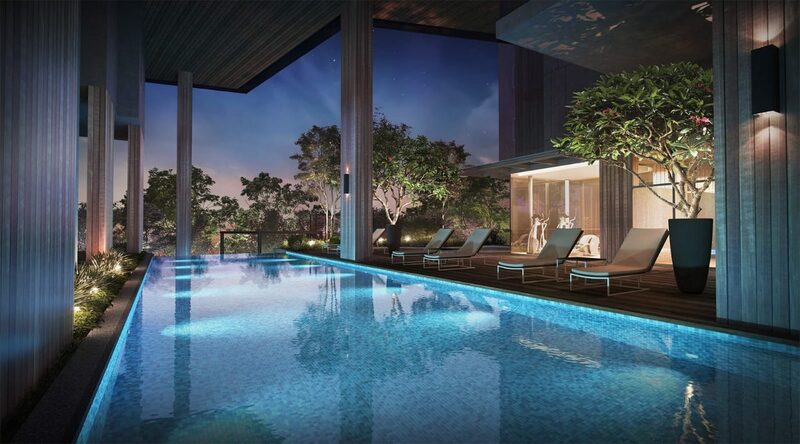 Host to 108 exclusive units, the residence is designed with the occupant in mind, someone who is looking to escape the hustle and bustle of the fast paced city, to seeking solace in the tranquility and serenity of an urban green oasis. 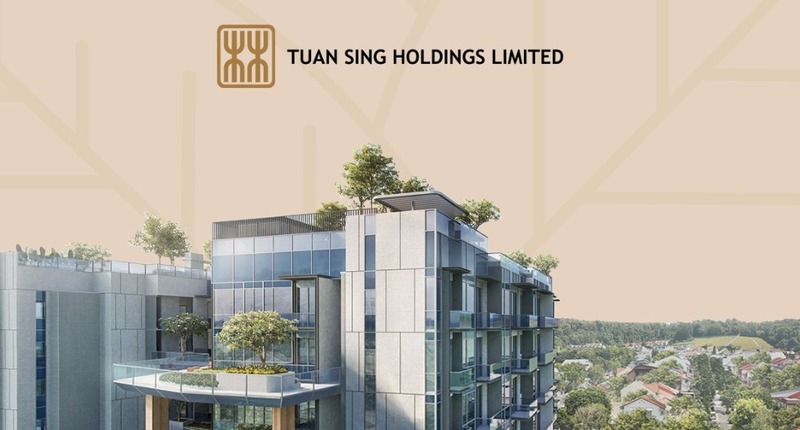 The architectural plan features 2 distinct blocks linked together by a series of communal sky gardens, providing green relief for residences whenever possible. These informal spaces encourage spontaneity and informal social gatherings, displaying zest and energy culminated through the architecture. 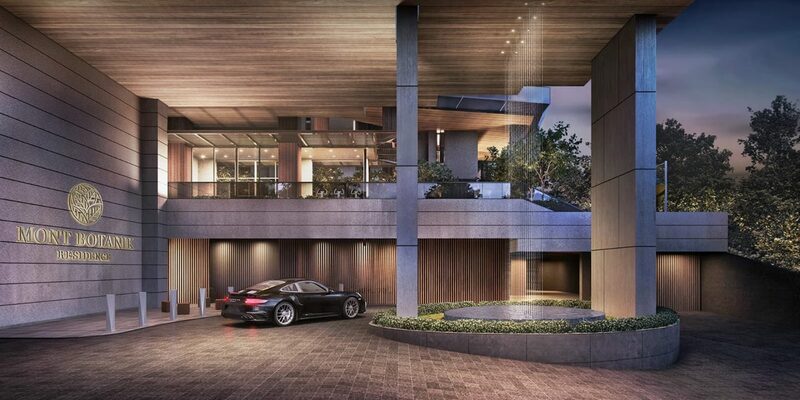 The formal drop off, generously landscaped with layers of trees and plants, humbly welcomes residents and guest. As the residents and guest circulate through the development, their experience is heightened as they are treated to the plentiful communal facilities dispersed throughout the development. From the warmth exuding from the family pods to the chatter of activities in the clubhouse, the sense of familiarity that comes with a cosy residences is an unquantifiable lifestyle experience that detached urbanites yearn for. 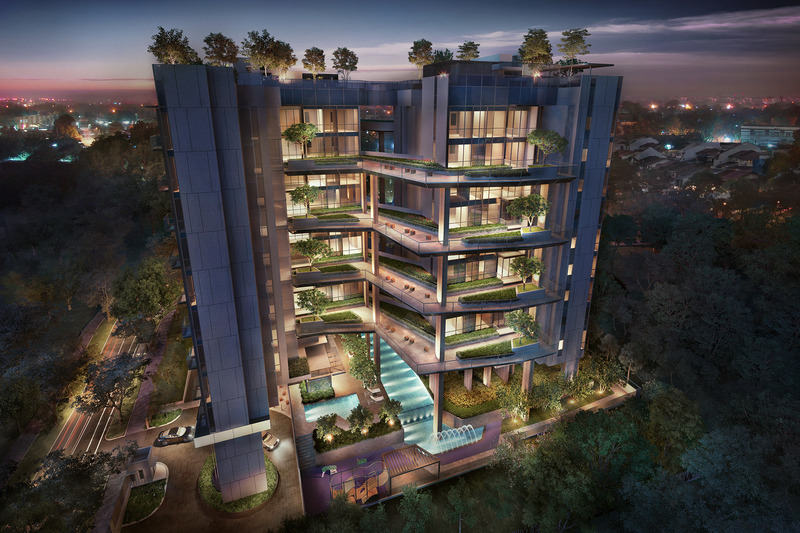 Host to 108 exclusive units, the residence is designed with the occupant in mind, someone who is looking to escape the hustle and bustle of the fast-paced city, to seeking solace in the tranquility and serenity of an urban green oasis. 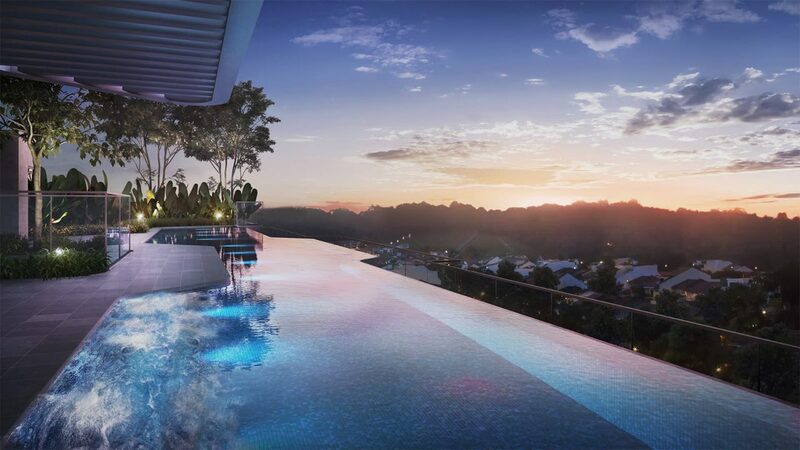 Architecture and landscape unite into a new style of mid-rise living in the sky. Where the simple pleasures of living in a garden materializes. 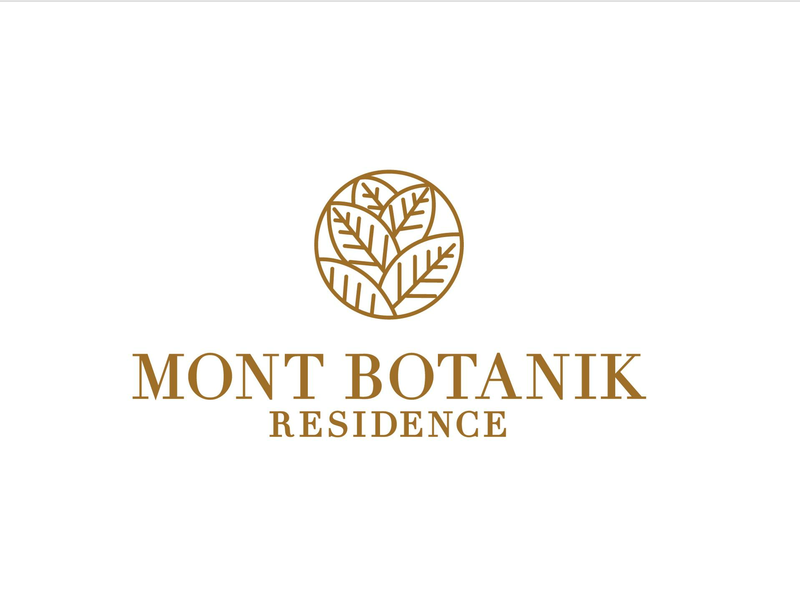 Mont Botanik Residence is located at 1 Jalan Remaja, district 23. Its site is surrounded by private properties and enclosed with abounding conveniences for future residence everyday needs and wants. 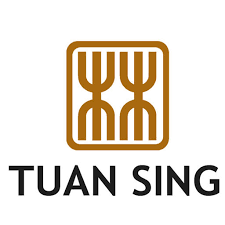 With all the famous shopping centers, sports centers, revitalizing nature parks, grocery shopping, cafes, reputable education institutions, convenience public transport and accessibility of highway. 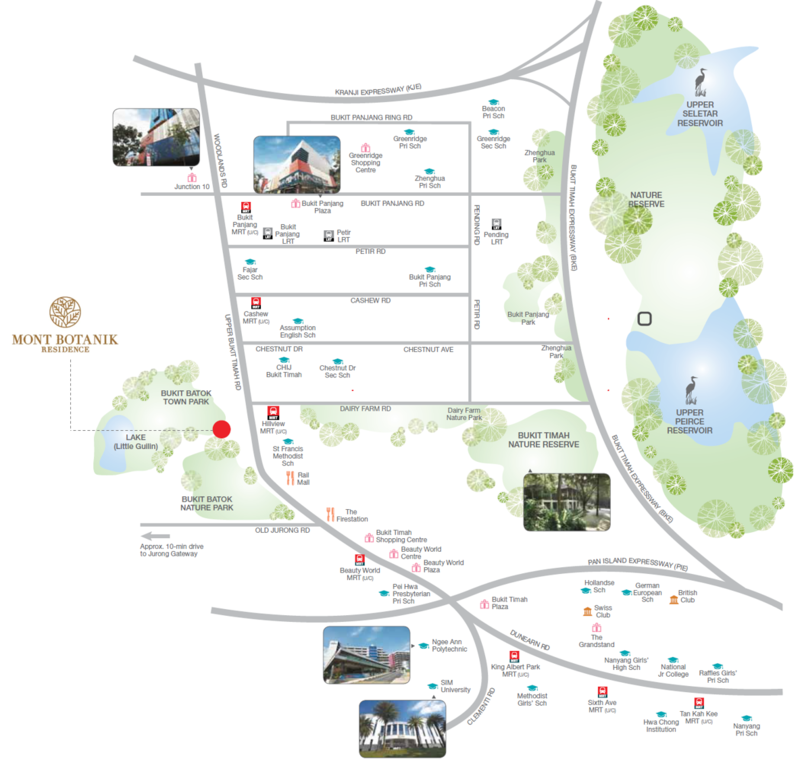 Hillview is naturally endowed with lush greenery as it is encircled by the woodlands of Bukit Gombak to the north west, Bukit Batok Nature Park to the south and Bukit Timah Nature Reserve to the east. Several nature parks, such as Hindhede, Dairy Farm, Chestnut and the upcoming Rifle Range, acts as buffer parks to Bukit Timah Nature Reserve. The KTM Malayan Railway used to operate passenger and freight services that ply through Hillview, from Malaysia in the north to Tanjong Pagar station in the south. Of significance are two railway truss bridges spanning across the undulating terrain near Hillview. ﻿Under a bilateral agreement signed between Singapore and Malaysia on 24 May 2010, the railway land has been handed back to Singapore. There are now plans to redevelop the railway land running along Hillview into a Rail Corridor. Ideas include preserving it as a green corridor, a cyclist highway with direct access into the central business district, gardens and community spaces. © 2019 (mont-botanik-official.sg) All Rights Reserved. JAY PECK	Hi, thank you for your interest.